It's a return to an old favourite here. A beer that I not only drank in the past, but which I continue to drink. I still have at least 40 bottles of 1992 and 1993 Russian Stout. 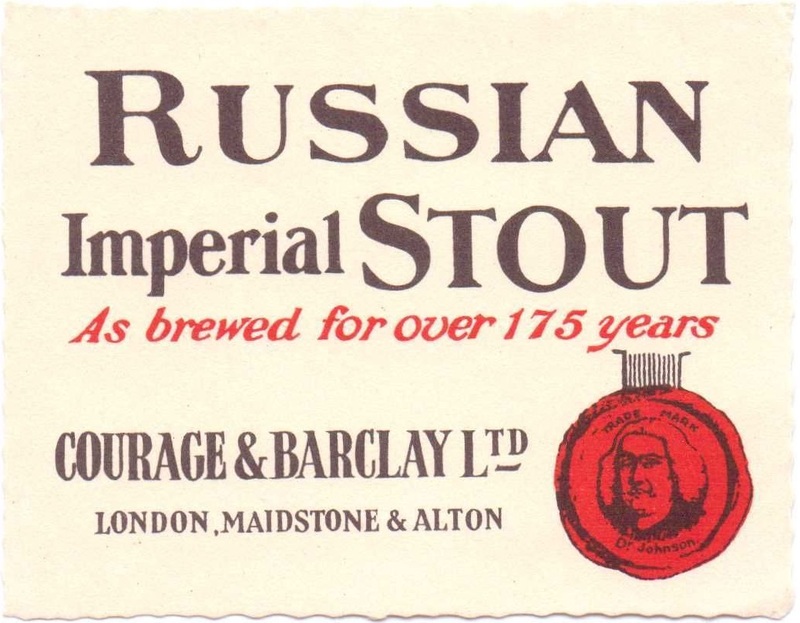 One of the effects of WW I was the splitting of Barclay’s Imperial Russian Stout into two versions. One, called IBS Export, was brewed to pre-war strength. The other, simply called IBS, was little more than half as strong. You have to wonder what makes something under 6% ABV an Imperial Stout. But I guess drinkers got used to it. As they got used to cuts in strength of most beers. Funnily enough, at a certain point in the 1950s the weaker version was dropped and only the full-strength version produced. It’s a real kitchen sink of a recipe, with a total of seven grains. I know, there are only six in the recipe below. That’s because I’ve combined the SA malt with the mild malt. Even combined, they’re barely 50% of the total. The tiny amount of oats is presumably there so some could legally be sold as oatmeal Stout. There are no fewer than four sugars: No. 2 and No. 3 invert, caramel and something called BS. I’ve substituted No. 4 invert for the latter. No idea how close that is, but I’m pretty sure it’s something dark. I’ve added and extra half pound of No. 3 invert to account for the primings added at racking time. The hops were Mid-Kent Fuggles (1936), Mid-Kent Fuggles (1935) and Mid-Kent Goldings (1934), the latter two having been kept in cold store. Could BS stand for Blackstrap? I can see why people might accept that as an Imperial despite the relatively modest ABV. With such a high percentage of amber, brown and roasted barley, plus a substantial amount of hops, that beer looks like it could slap you pretty hard even without so much alcohol. no, I don't think BS stands for Blackstrap. Thank you for reading. I'd seen it mentioned next to treacle as a possibility.